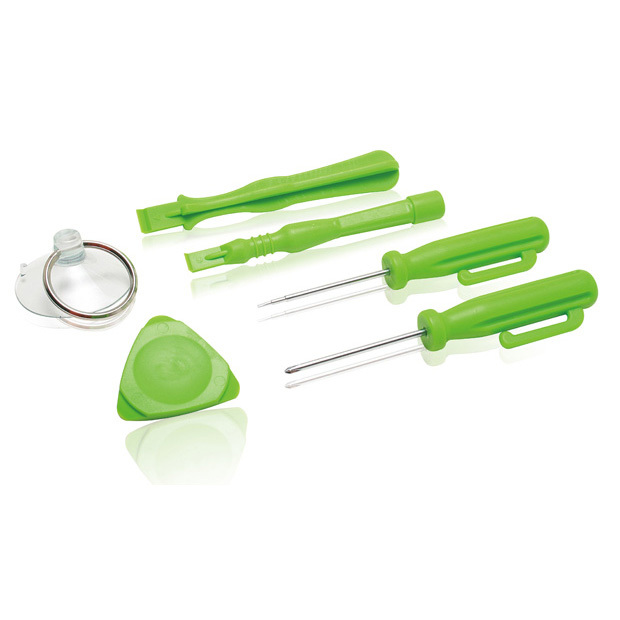 6 PCS iPhone Disassemble Set is a professional, portable and complete kit. Perfect fit for Apple iPhone repair, also allows opening of many other devices as well without any damage. Miniature Suction Cup for pulling up iPod Touch and iPhone glass without leaving marks on device.